It is Thursday morning when John Cecil sees his guests off. 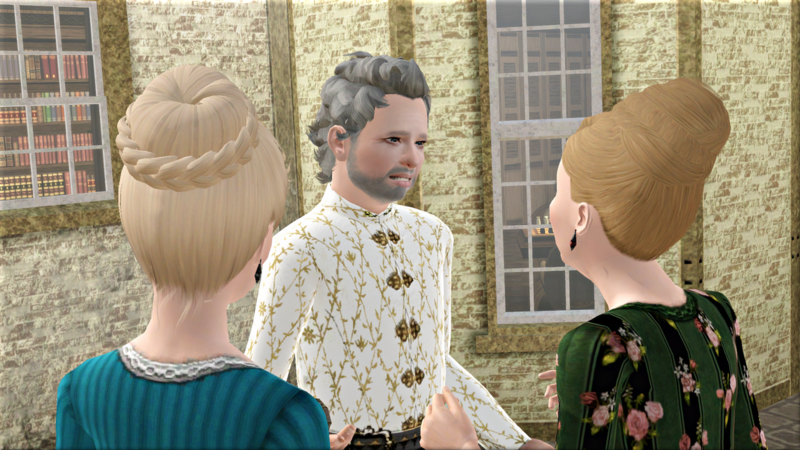 It has been a joy to spend time with old friends, and to see his and Sir Thomas’ households united in marriage. He is 620 days old now. His own father passed away peacefully of old age at 640. But he refuses to walk with a stick, or to drink less on feast days, or to give up his weekly hunts. He does not want to think about what the family name might suffer when he is gone and Snordwich is left to his son Roger, still as awkward and ungovernable as ever. 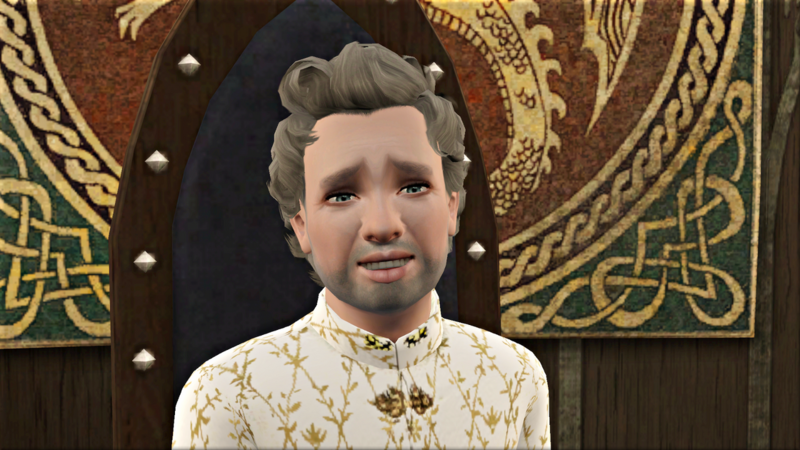 But Roger and Matilda’s son Edmund gives Lord Snordwich some hope for his legacy. The boy excels at languages and letters, and especially at music. Whatever his tutors throw at him, he practices until he has it perfect. The younger children do not play well with him. He never lets them win, and he sometimes teases them a little. His grandfather excuses it all: that is just the way children are with one another. To grown ups, Edmund is scrupulously polite. Lord Snordwich is relieved finally to have a firstborn Cecil boy he is not ashamed to show off among fellow peers. Next year he will send him to Effenmont, to wait upon Matilda’s cousin the earl. Today he is teaching Edmund how to play Gnubb. His daughters are sitting with their step-mother, watching the game. 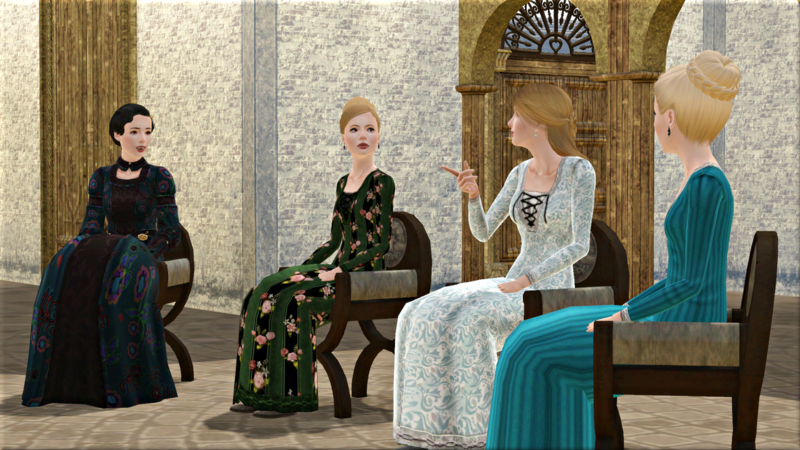 Geva is asking Aelfgiva what it has been like to serve Lady Burdley. He is pleased by how comfortable they all seem around his wife. She is still a little shy of them, but she hides it well. He smiles to see how calm and graceful she looks. It is a blessing to have found such a lady, he knows. Sometimes, though, he catches himself questioning whether he should have remarried at all. He wonders whether he can ever give her enough, when so great a part of his heart still belongs to his Rohesia. All five of his children by her have something of her look about them, but none so much as Linyeve. The shape of his first wife’s eyes, the curve of her brow, her flaxen hair—it is all there. That afternoon, she and Geva ask if they may go out riding. Lord Snordwich sends John Ros with them to the stables, where, he tells them, they will each find a new horse waiting for them. Aldiytha, his eldest girl, stays behind. She has something to ask him, she says. 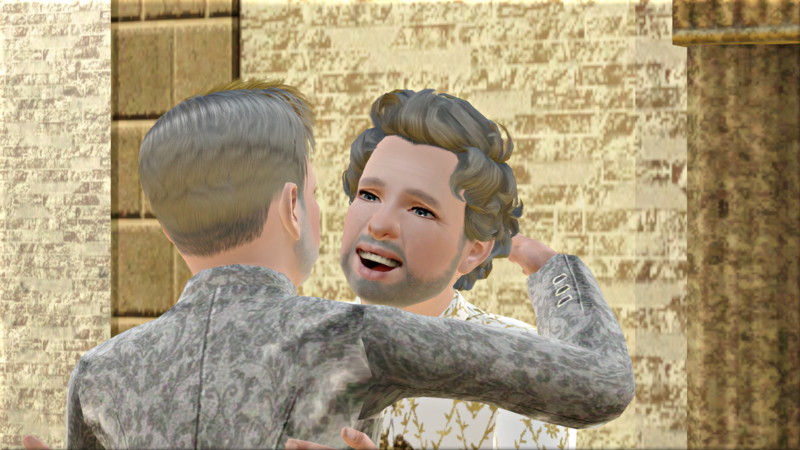 Next week, when they are in Burldey for Geva’s wedding to the baron’s son, Lord Burdley will ask permission to wed Aldiytha to his squire Giles Darcy. She wants, more than anything in the world, for her father to say yes. Lord Snordwich is taken aback. Aldiytha wrote to him every week from Burdley, and never once mentioned any of this. He reprimands her: he would have chosen for her, found someone truly worthy of her. Aldiytha responds, not backing down, that Giles is worthy. He is the only son of a landed knight of Burdley, highly favoured by both Lord Burdley and his lady wife. He is brave, and fair-minded, and always in high spirits. She knows that her father will love him if he gives him a chance. 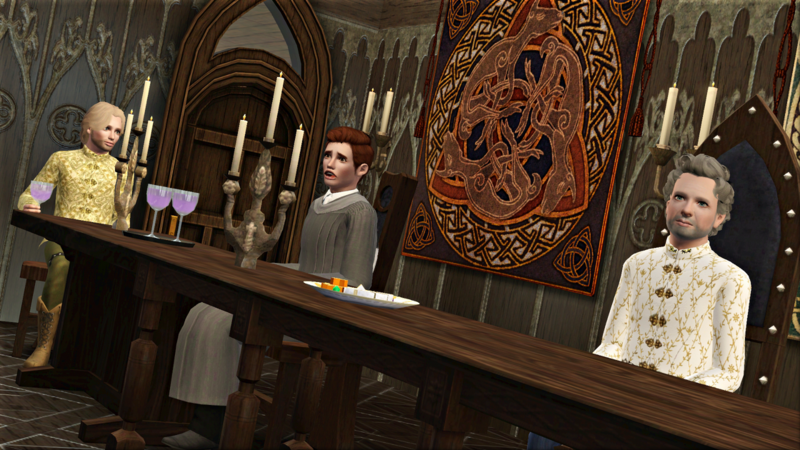 Lord Snordwich knows the Darcy family—his old chaplain was kin to them—although he has not met this Giles. 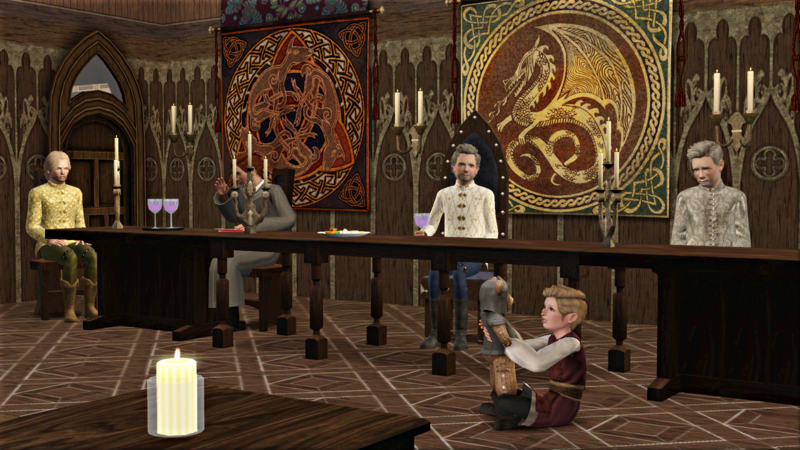 He says that he will need to talk with the boy, and his father, and Lord Burdley, and that he will take him hunting, that will give him a true measure of him. Aldiytha agrees, laughing. She knows he has all but assented. He makes her promise she will still write to him as often when she is married. Oh yes, she says, he will get to hear all about her household budget, and which of the servants have misbehaved, and how fat her children are getting. How many children, he asks her, and she tells him ten at least. He knows she is half-joking, but he is so taken by the idea of more grandchildren that by the time John and the girls return he is almost as set upon the match as Aldiytha. His second son has different kind of favour to ask of him. Fabyan comes to him that evening in the great chamber, where he is sitting by the fire with Lady Snordwich. Lord Snordwich interrupts him, rising from his chair. 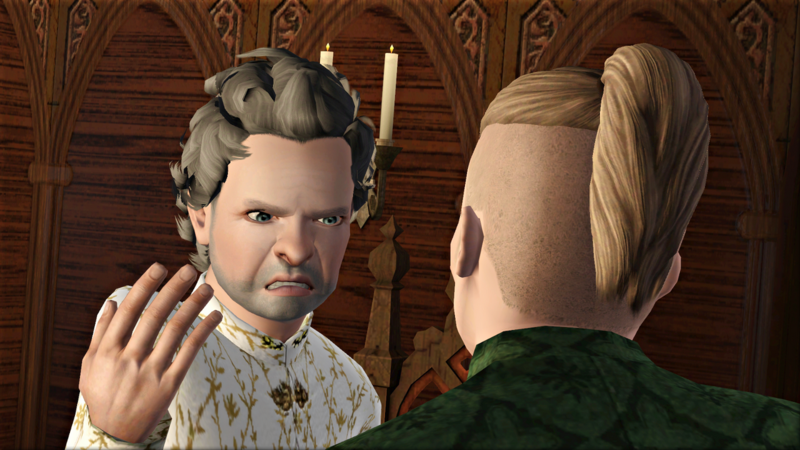 He is irritated: a lord begs nothing of his peers. He will not go cap in hand to a man he sees no more than twice a year, and whose power is not so much greater than his. The bishop surely knows that Fabyan wishes for an expanded role in the biography, and that his advancement would please his father. If that—and whatever talent Fabyan might have—are not enough, then he must rest content with a less prominent place. He sees that his son is at war with himself, pride and ambition set against a coward’s heart. Fabyan swallows his disappointment and takes his leave. Lord Snordwich wishes, not for the first time, that his daughters had been boys, and born before their brothers. He spends most of Friday preparing for his trip. He now means to stay in Burdley until the winter. 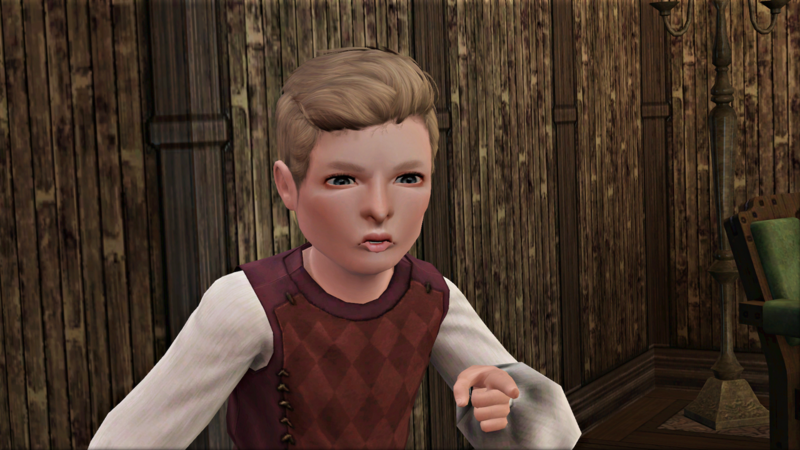 Fabyan must return to his work in Crafthole, but he wants to keep the rest of his family together for as long possible. Sir Thomas will run things here while they are away. On Saturday, the old knight sits in on the quarterly court. It seems that that the Widow Baker passed away earlier this week, leaving behind a son not yet of age, and two daughters. The boy will need a guardian to run the bakery and see to his affairs until he is old enough. Lord Snordwich is anxious to find someone trustworthy before he leaves. If the bakery is not properly looked after, his tenants may starve or riot in his absence. Both of the Baker sisters are unmarried, but the elder of the two claims to be promised to Ralf of the Kitchen, for whom Lord Snordwich promptly calls. 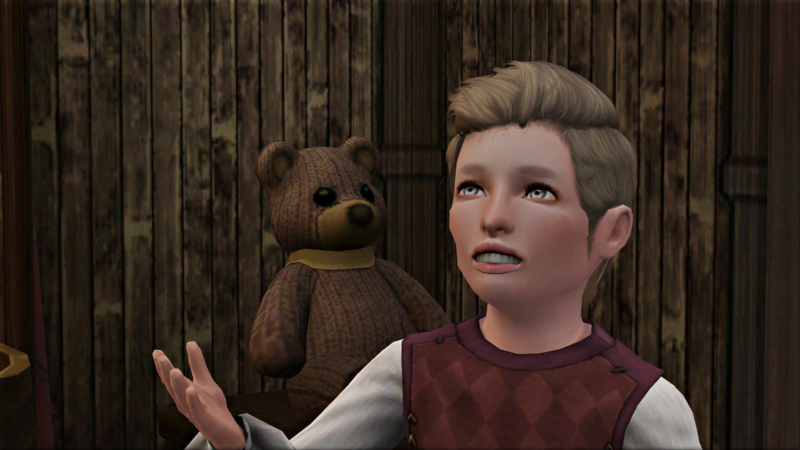 Ralf confesses that nothing would make him happier than to live in the bakery as the boy’s guardian, but that he is afraid to forfeit his post. Lord Snordwich cues his chaplain to explain: his lordship and his household are to spend the next five or six weeks in Burdley, during which time most of the lesser servants left behind will be reduced to board wages. There would be little for Ralf to do here at Plumbob Hall, and no income for him to lose. It makes sense, therefore, for Ralf to step in as the young baker’s guardian until he is a man. By that time the Cecil family will have returned, and Ralf will be wanted back in the kitchen. He should marry his sweetheart as soon as possible, of course, if they are to be living under the same roof. The couple exchange a glance that touches the baron. Ralf looks like he is about to cry. 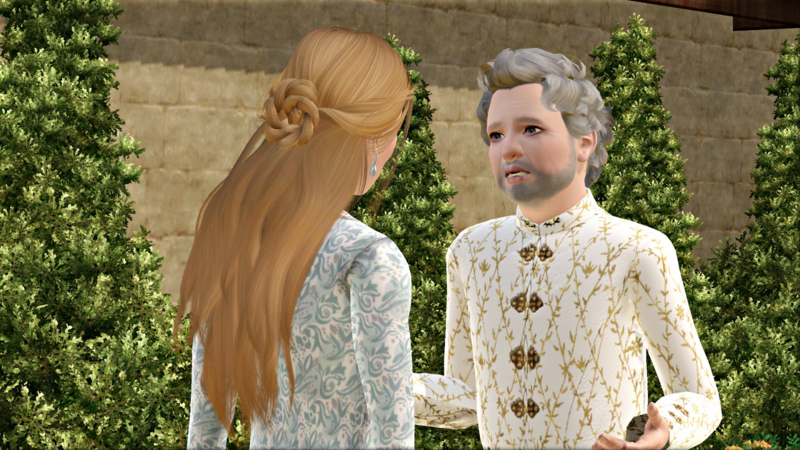 Lord Snordwich tosses him a few coins–a wedding gift, he says. He remembers what is to be young and in love. 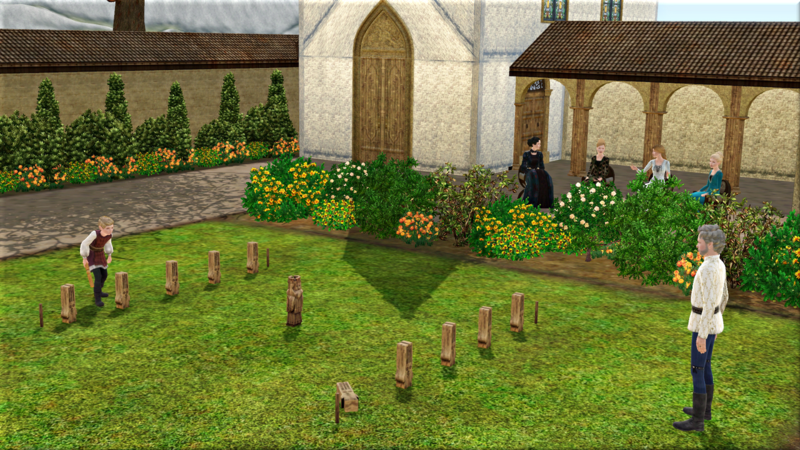 He thinks again of Aldiytha and her Burdley squire, and hopes they will be happy together. 620 days old sounds crazy. How do you measure it? Do you have such a long lifespan in game? I’m so happy for the young couple and wish them luck. Yes he’s getting on now! I have fiddled around with the ages a bit during this first generation, but have finally settled on a 640 day life span. 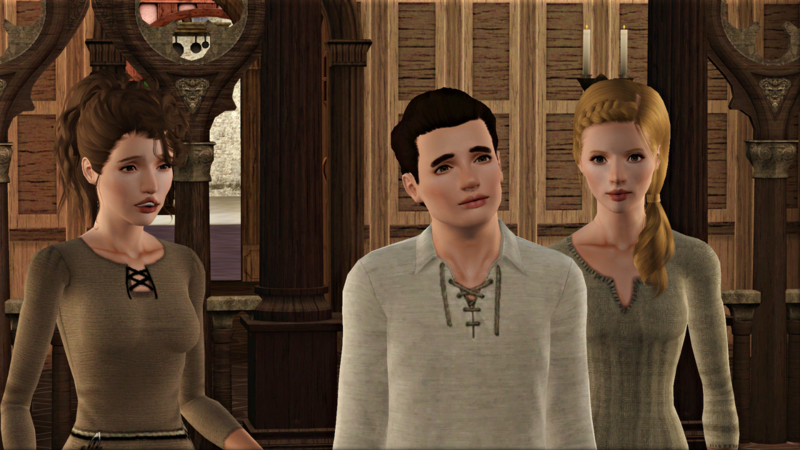 I play 6 households in rotation, and leave their ages ticking along while I am away, so I get to play those sims just over 100 days each, minus any time they spend away from home. Haha yes very long! I have so many sims, and I want to make sure I’m not rushed into ignoring too many of them. Fabyan could have worded that better. Oh well. He will have to make it on his own. 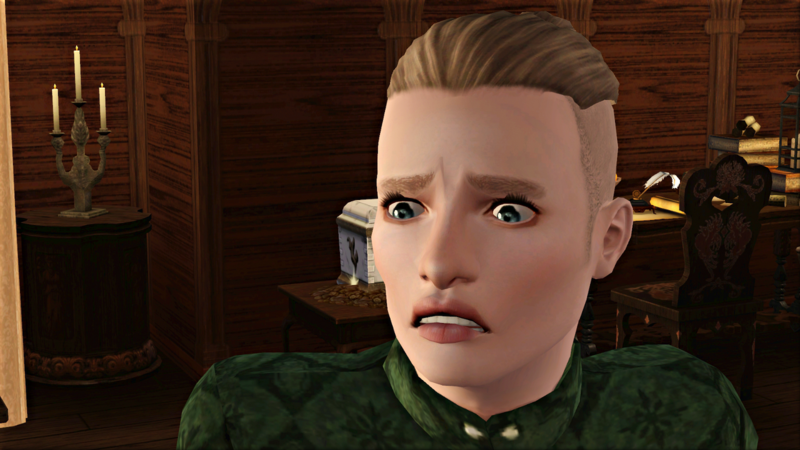 Ralf will be able to get married?! I am so happy for them!!! Yes watch out for a little wedding in the next part 🙂 Their future is still uncertain, though. It’s likely that Ralf will have to return to the kitchen at some point, especially if he and Tephna have any children to support. Miss V is also between 600 and 700 days old but she’s a young adult. Great chapter ! 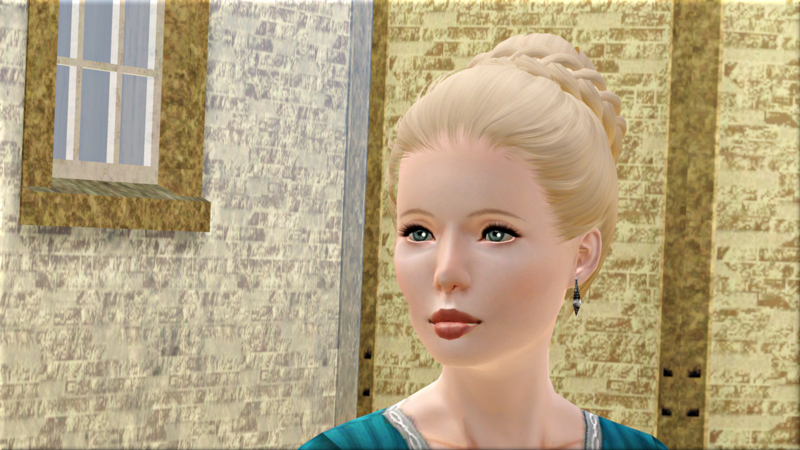 I didn’t play her as toddlers to teenager I create her as Young adult and I always play her as a young adult. For now I play something else but yes I love my story with her.